Worcester, Mass., March 6, 2018 — NeighborhoodScout, a web-based platform from Location, Inc. that includes custom analytics and reports for investing, appraising, and financing real estate, released its annual list of the Top 100 Most Dangerous U.S. Cities for 2018. 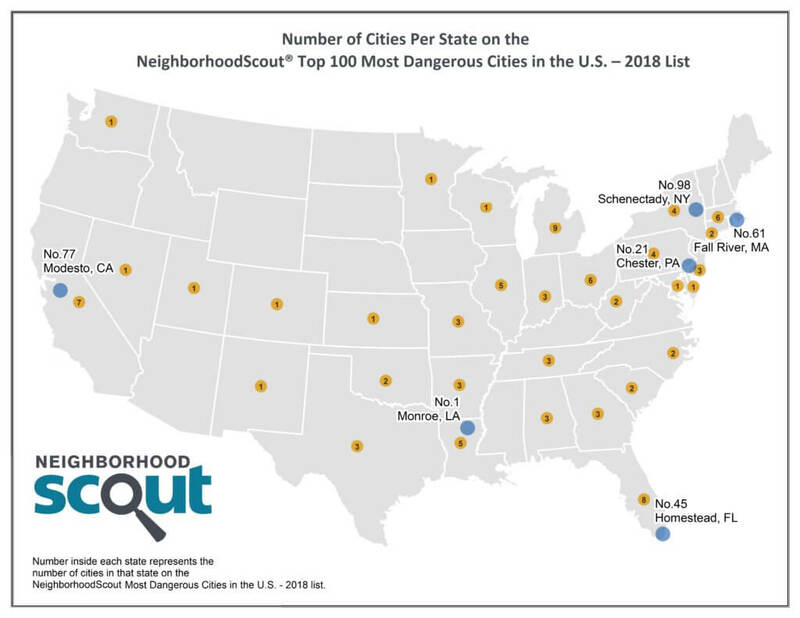 Visit NeighborhoodScout’s Top 100 Most Dangerous Cities in the U.S. – 2018 to see the entire list and report. Visit NeighborhoodScout.com for subscription options, or contact info@neighborhoodscout.com for more information.